In order to keep pace with the never ending demands of customers, we are involved into offering wide range of Voltas Pure R Water Dispenser. 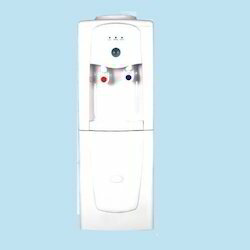 Eye catchy in look, these presented Water Dispenser are best in quality and offered to the customers with double taps. Durable body is given to these dispensers to let users have complete satisfaction with our device. Light in weight, these dispensers are provided to the customers in complete safe packing. In line with clients' diverse requirements across the country, we are engaged in providing an optimum quality Floor standing Water Dispenser. 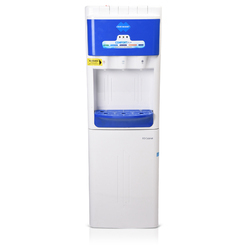 Our consumers can also avail from us Water Dispenser. Our presented products are made using the performance tested material, obtained from trusted sellers of industry. We have gained recognition as an eminent enterprise, devotedly engaged in trading a broad range of Water Dispenser. Supported ourselves with proficient amenities, we are readily instrumental in providing an inclusive variety of Usha Floor Standing Water Dispenser.